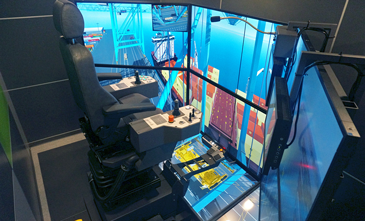 Maintaining regular port operations while improving safety with simulation-based training. 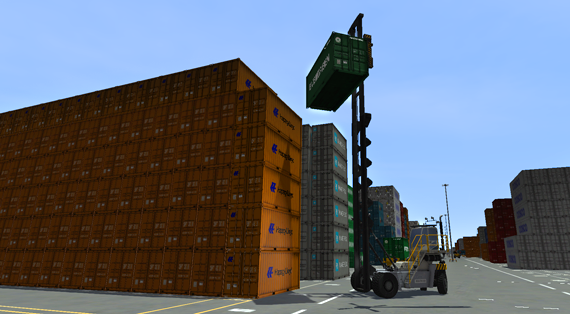 The Vortex (ECH) empty container handler simulator allows you prepare trainees for the realities of operating equipment in a busy terminal, without placing equipment or personnel at risk or decreasing productivity. 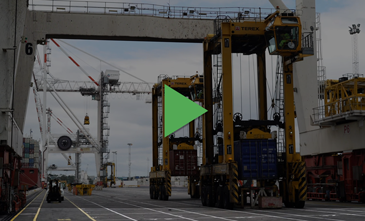 Discover why Vortex simulators are used by ports and terminals around the world. 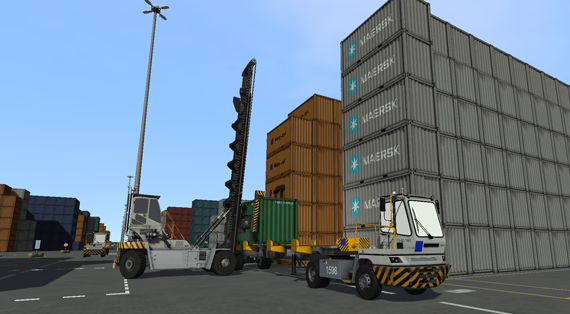 The Empty Container Handler simulator training pack delivers a true-to-life, stimulating experience based on the behaviour and mechanics of the real machine, including load limits and the ability to topple when improperly handled. 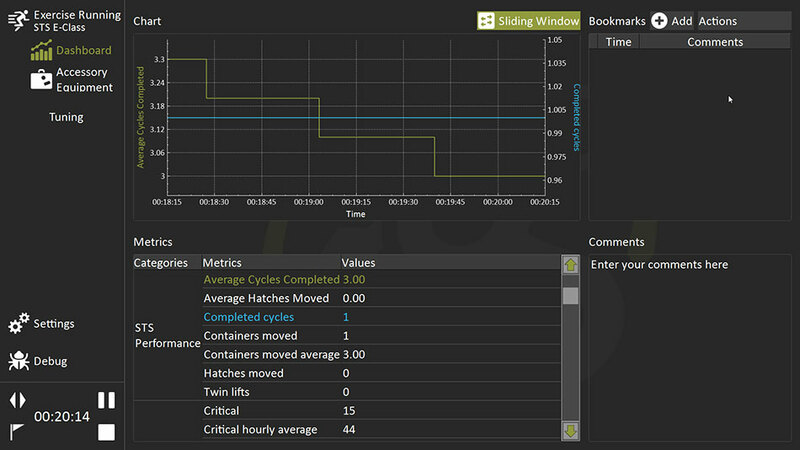 Scoring: Set customer-specific, objective scoring criteria for each scenario. 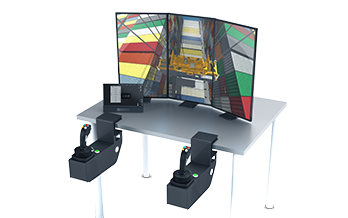 From ship-to-shore and ship pedestal cranes, to reachstacker and other cargo handling equipment, we offer a wide range of ports and container terminal equipment training simulators that can run on a single hardware platform. 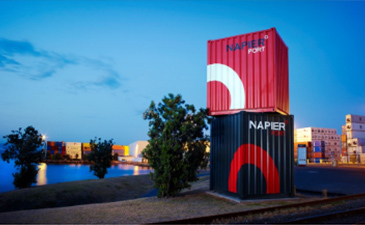 Realistic simulators are an effective tool to evaluate and assess apprentices-in-training for both efficiency and safety. 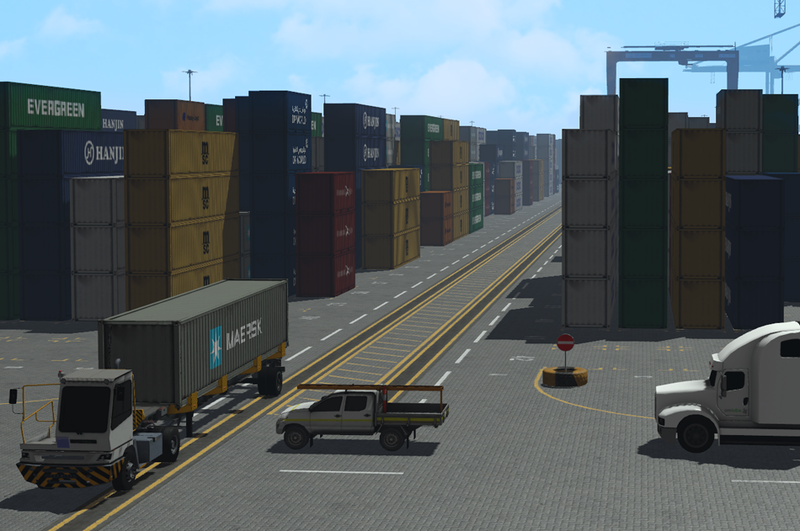 Tracking vital metrics across the entire training scenario, instructors can review statistics after completion, allowing for detailed after-action reviews and reporting. 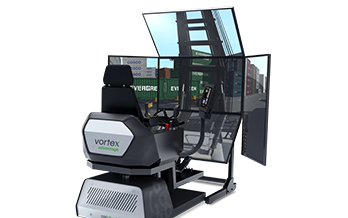 Vortex simulators represent the most advanced, realistic training solutions available today. 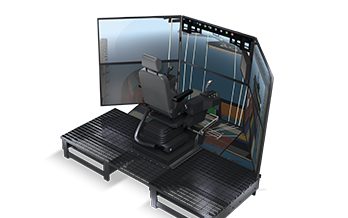 One simulator can train across all equipment types, and flexible display options mean you can start on the desktop, or engage trainees with full immersion.